As a secular Jew who resided for over a decade in pre-Girls Brooklyn, I'm not sure which Williamsburg community proved more inscrutable to my eyes—hipster or Hasidic. Both appeared isolated in secret echo-chambered societies, living blocks away—and worlds apart—from one another. And the notion of a feminist Hasid would strike me as outlandish as a hipster sporting payot. Enter Rachel "Ruchie" Freier to upend my preconceived notions. Freier is the pigeonhole-avoiding star of filmmaker Paula Eiselt's 93Queen, a fascinating look at America’s very first all-female EMT corps—started in the heart of Borough Park, Brooklyn, home to one of the world's largest communities of Hasidic Jews. Freier, one of the founders of this untraditional mobile medical service (dubbed "Ezras Nashim," or "women who help"), is simultaneously a deeply religious family woman wedded to a strict faith, and a practicing lawyer unafraid to stand up for a Hasidic woman's right not to, as one of her EMT colleagues puts it, "ever be too embarrassed to call for help." 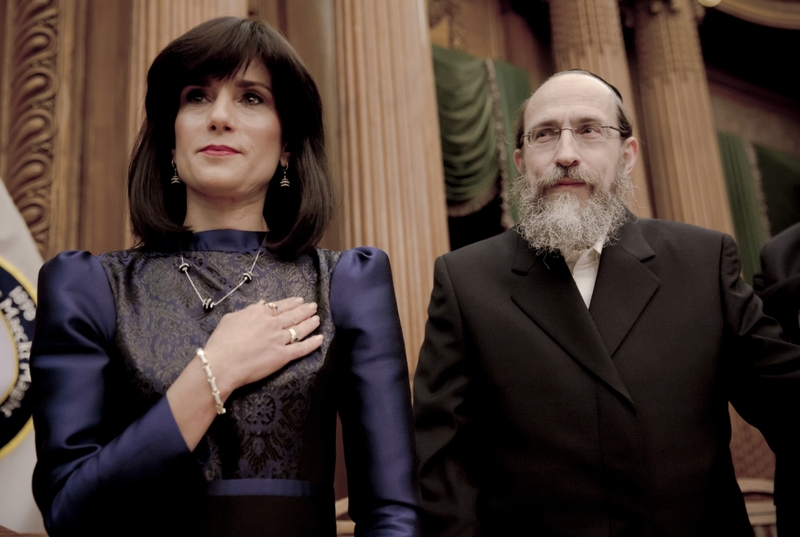 Needless to say, Documentary is thrilled that the incredibly busy Freier—whose bio now includes the distinction of being "the first Hasidic Jewish woman to be elected as a civil court judge in New York State, and the first Hasidic woman to hold public office in United States history"—found time during Rosh Hashanah preparations to answer a few wide-ranging questions via email. 93Queen, an IDA Pare Lorentz Documentary Fund grantee, airs September 17 on PBS' POV. How did you meet the filmmakers—and how did they come to earn your trust? Judge Ruchie Freier: Paula Eiselt was perusing the Vos Iz Neias (VIN) website, a blog catering to the Chassidic community, when she heard about our Ezras Nashim initiative sometime in 2013. At that time we had just been granted our license from the New York State Department of Health to operate as a Basic Life Support First Response Agency. This was big news and covered by VIN. My contact information was listed for anyone interested in joining, and Paula reached out to me. Paula presented herself as a religious woman interested in doing an accurate story about the Chassidic community. Unfortunately, most of the media coverage of the Chassidic community has not been accurate or positive, largely due to the fact that Chassidim shun the media. 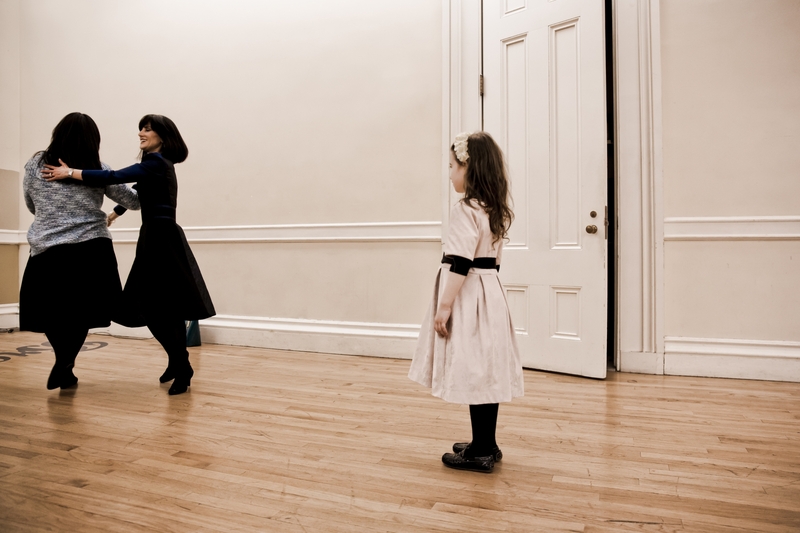 I was still unconvinced that this would work, but Paula explained that by my allowing our story to be filmed, we would break the negative stereotype of the Chassidic community in general, and specifically of the women. By doing so, we would sanctify G-d's name—and that is what meant the most to me. Paula's sincerity and endearing character, combined with professionalism and ambition, came through. My faith in G-d and pride in being a religious Jewish woman, and part of the Chassidic community, is what gave me the courage to invite Paula and the world into my community and my home. What sorts of limits did you place on Paula and her team? What aspects of your life could not be filmed and why? There were not many limitations. The basic limitation was that the values of the Chassidic community be respected. For example, it should not violate any of our modesty codes. I wanted the film to focus on the positive aspect of Ezras Nashim, of our desire to bring change from within, as opposed to those who leave the community when confronted with opposition. The only parts of my life that were not filmed were the Sabbath and the holidays, as well as my professional work as a lawyer, which would violate legal ethics. Additionally, when treating patients at Ezras Nashim, HIPAA rules had to be respected, which placed limitations on filming. Do you worry at all about how secular, liberal-leaning audiences might view you? I'm specifically wondering about feminists who may try to hold you up as a role model—when you clearly don't identify with their movement. My concern with liberal-leaning audiences is the hope that my feelings about the power of women and our G-d-given innate strength and capabilities comes through. Notwithstanding the fact that I don't identify myself as a "feminist," simply because in the Chassidic Community, feminism has a negative connotation due to the fact that feminism has penetrated into religion and attempted to reform traditional Chassidic values and practices that I abide by. There are probably more similarities than differences between myself and liberal-leaning audiences. I have many close friends and colleagues who are way more liberal than I. Additionally, I have an appreciation for all the women who have trailblazed on behalf of women's rights for the past century. Without amazing and strong women like Ruth Bader Ginsburg, I could have never been where I am today. Your husband struck me as one of the unsung heroes of the film. He clearly supports you and your outspokenness. But has he [and the children] suffered any community backlash as a result of your often tradition-defying endeavors? My husband is the hero! He's the first Chassid to support his wife in running for public office, he financed my campaign, and he ran tirelessly to rabbis to get their written endorsement of my candidacy. Without him, I could not have won the election. He is the trailblazer—and he gets much respect in the community for being the judge's husband! The Chassidic community voted for me and is very proud that I sit on the bench. I pray that G-d gives me the strength and wisdom to maintain the pride of my community. The backlash that my family dealt with was years ago for forming Ezras Nashim—and that was from the Hatzolah [Hasidic EMT] leadership and some, but not all, of their members. What lessons do you hope audiences, both secular and religious, will take away from the film? As I prepare for the Rosh Hashana holiday—the Jewish New Year, a time for reflection and prayer—it is my fervent hope and prayer that audiences are inspired to cherish and preserve whatever religious values they believe in. We are all different—we come from different communities and backgrounds—yet we all have values. Oftentimes there are pressures and opposition to those values, and the temptation to let go of them is great. Don't let go; stand up for what's right and fight for what you believe. G-d runs the world, and all we have to do is try our best. Life is about trial and error, and there is no need to fear because success is in the hands of G-d.
We believe that during the days of Rosh Hashana, the entire universe is being judged. It is my wish that everyone be destined for a year of health, prosperity and happiness.